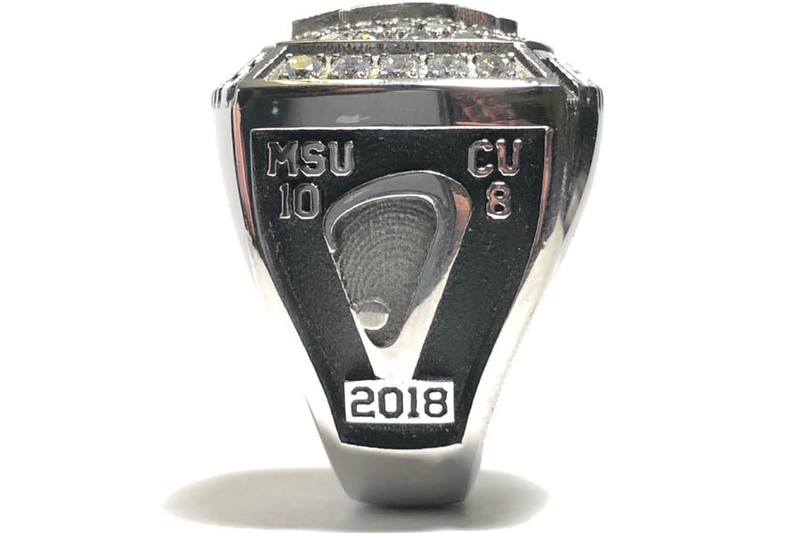 EAST LANSING, Mich. -- After capturing its first title at the 2018 MCLA National Championships powered by Under Armour, Michigan State players, coaches and staff received their rings this week. 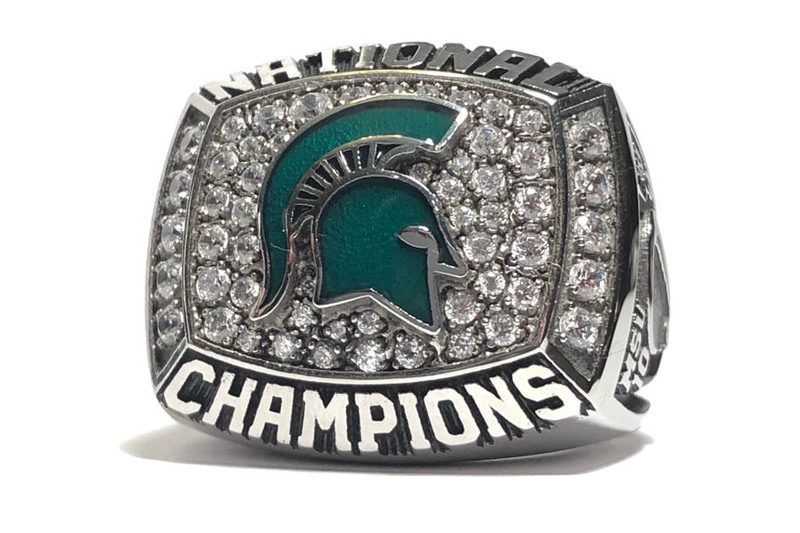 The features on the ring, as well as its overall meaning, are described by Spartans head coach D.J. Lubs. "This ring signifies the hard work, sacrifice, and desire that these young men and those around them, have put forth over the past few months and years," said Lubs. "Three years ago, the leaders of this team decided to make a change. They bled, sweat, laughed, cried, battled and ultimately willed their way to a championship." 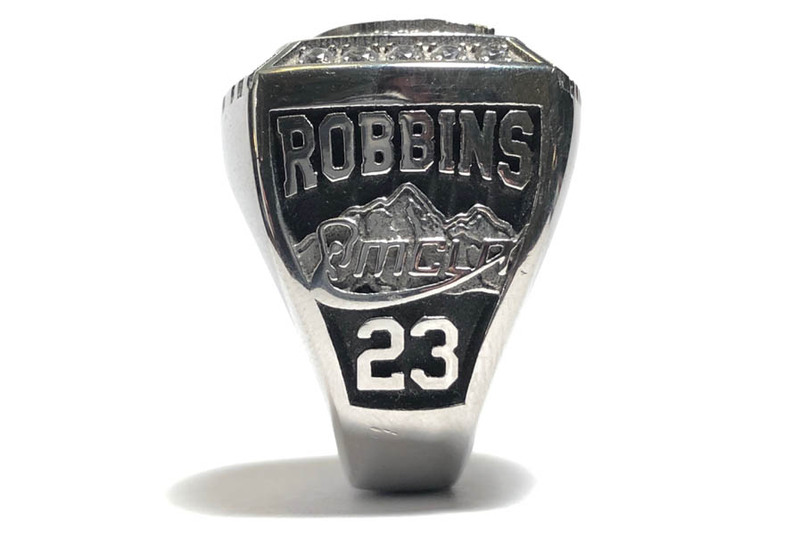 "There are a couple key details to this ring so the tides of time will never wash away the result of that amazing journey," continued Lubs, who took over for Cam Holding, who left the program to pursue his professional career in the NLL. "One side displays the score from the game -- MSU 10 CU 8 -- with the MCLA trophy. The other displays the player's last name and position with the MCLA tournament logo over the Salt Lake mountains that was a beautiful backdrop for our victory. "The inside displays "WOOF," which signifies the barking that took place all week. This barking is one of the many special occurrences that only comes from team chemistry, that is built from long bus trips, airport layovers and hours packed in hotel rooms that come to help define the collegiate athlete experience. "The face of the ring is the most important, as the raised Spartan head is surrounded by 55 decorative stones. These stones represent the 55 years of Spartan lacrosse and the journey that has led up to this moment."